The guys at Sound Masters are back with Complex, a new pack that demonstrates their years of production experience and an obsessive commitment to quality sound design. Featuring 64 super quality, royalty free presets for Massive ready to drop straight in to your EDM, Complextro, Future Garage and Dubstep projects. From huge leads to liquid basses, elegant plucks and original powersaws, this pack has everything you need to get inspired and pump out a chart topper. 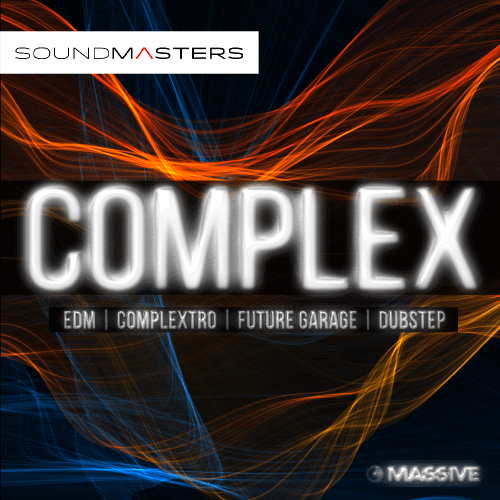 Don’t waste your money on watered down soundsets, SoundMaster’s Complex soundbank for Massive is the real deal. Checkout other quality SoundMasters products here.